A recent study by Harvard Business Review revealed that on average, businesses lose nearly 50 percent of their customers every five years. Metrics from the same study showed that new customer acquisition can be up to five times higher than retaining current customers. A five percent customer defection rate can have a financial impact equivalent to increasing business costs by 25 percent. Breaking down these figures by their impact in areas related to improving online customer loyalty demonstrates the high value created by customer loyalty. A characteristic of loyal customers is their willingness to purchase product lines which cross product category boundaries. For instance, a loyal customer of a clothing product outlet is more than 70% likely to be willing to purchase a product as different as furniture from that same outlet. Online stores that carry many different product lines are best situated to take advantage of this benefit of loyal online customers. It should come as no surprise that loyal online customers are also more willing to spend more during their purchases and increase the size of their transactions. Studies have revealed that customers who have been retained for between two and a half to 3 years are spending between 23 percent and 67 percent higher than they had during their purchases in their first 6 months. 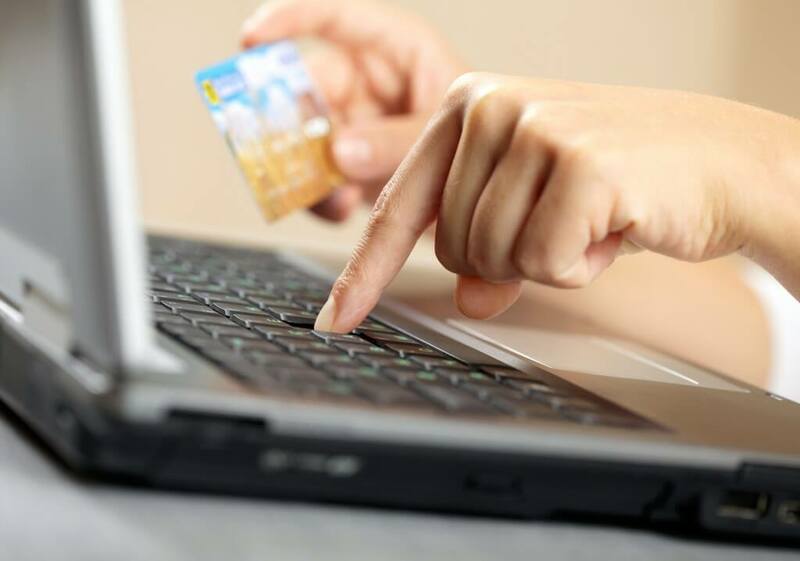 Breaking it down further, analyzing their purchase by purchase numbers revealed that customers had increased their online purchases transaction levels by 40 percent over their initial purchase size, doubling to nearly 80 percent by the 10th purchase. Customer loyalty demonstrates increased value in purchase transaction amounts dynamically over time. With today’s online consumer highly dependent upon word of mouth recommendations in the form of online reviews, social media network posts, texts, emails, etc., it would seem critical to the expansion of your business sales, in terms of customer number volume alone, that a loyal customer base synergistically enhances internal marketing efforts. In fact, online purchase figures reveal that on average a satisfied customer referred 3 to 4 customers following their initial purchase, and that increasing to between 7 and 13 referrals (on average) by their 10th purchase. Not only that, but further study of the spending habits of these referrals revealed that this customer base spent between 50 and 75 percent more than the original customer from whom they were referred. Loyal customers can be worth several times their initial purchase in terms of referrals alone. Recognizing customers as assets versus as transactions. Prior understandings of online customer activity focused on aggregate customer data. Your customer is a valuable asset as a loyal individual, with high upside return exponentially correlated with their level of satisfaction with their purchase experience(s) from your business. There’s no better way to determine what will drive customer behavior than to go directly to the source. Ask your customers what they want, what they like and dislike via online surveys. In addition, conduct focus groups with your best customers and potentially high-value customers to generate ideas that will enhance the customer experience. Look at the customer from a holistic perspective then segment customers that are similar. Segment your customers by their value to your company, and then differentiate them by their customer lifecycle and needs. The segments should include a 360-degree view, combining customer relationship elements of purchase behavior, customer attitudes, satisfaction, demographics, and lifestyles. Once you’ve created the loyalty segments, prioritize them to focus on their potential economic impact. Next, develop a communication plan that delivers the right message to the right customer at the right time. 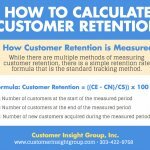 Measuring customer retention and satisfaction along key retention drivers. 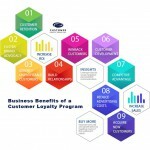 Programs and sales efforts designed to demonstrate your business’ loyalty to your customers including satisfaction surveys, strong customer service and other areas which demonstrate to your customers that they are valuable and unique individuals will further this objective. While some customers are moved by price, service, convenience and personal recognition are important factors in customer loyalty for many others. By understanding your customer’s attitudes, behavioral drivers, and needs, you can develop marketing strategies that push the most appropriate levers to help you build profitable, long-term customer relationships. 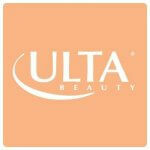 Keeping tabs on competitors and other industry leaders, especially in terms of their customer loyalty programs. It’s important to understand how your competitors’ customer loyalty strategies differ from yours. An exercise as simple as visiting your competitors’ websites can provide valuable information for winning new business in areas in which their processes are weak. Investing in areas that strengthen opportunities for making the customer’s life easier. Simplifying the purchasing process, improving order processing, shipping, and customer service, as well as clarifying product descriptions so they create realistic customer expectations and creating loyalty programs can return heftily in terms of customer satisfaction and loyalty. Become an insider with access to best practices, marketing trends and the latest buzz sent right to your inbox. Sign-up today and stay on top of the shifting loyalty landscape.